This text centers around three main subjects. The first is the concept of modularity and independence in classical logic and nonmonotonic and other nonclassical logic, and the consequences on syntactic and semantical interpolation and language change. In particular, we will show the connection between interpolation for nonmonotonic logic and manipulation of an abstract notion of size. Modularity is essentially the ability to put partial results achieved independently together for a global result. The second aspect of the book is the authors' uniform picture of conditionals, including many-valued logics and structures on the language elements themselves and on the truth value set. 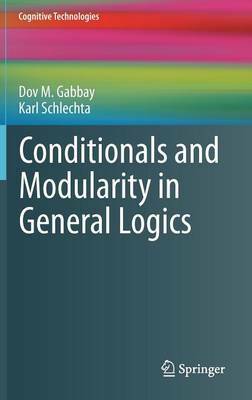 The third topic explained by the authors is neighbourhood semantics, their connection to independence, and their common points and differences for various logics, e.g., for defaults and deontic logic, for the limit version of preferential logics, and for general approximation. The book will be of value to researchers and graduate students in logic and theoretical computer science.